And don’t forget to download our FREE app too as there are over 60 discounts and offers on there! Just search for ‘The Big Heart of Swansea’ in your app store! 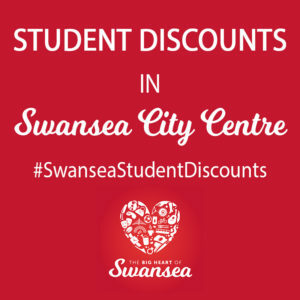 AND we have our annual Student Shopping night in Swansea City Centre on Tuesday 9th October with savings of up to 30% in your favourite high street stores – click here to register and get a list of even more offers!